More than a decade after the release of Enclave, the engine and level design still shine as some of the best. This forum serves as a community to discuss Ogier, Starbreeze's powerful and easy-to-use tool set, which had been released as a gift to the community in early 2004. 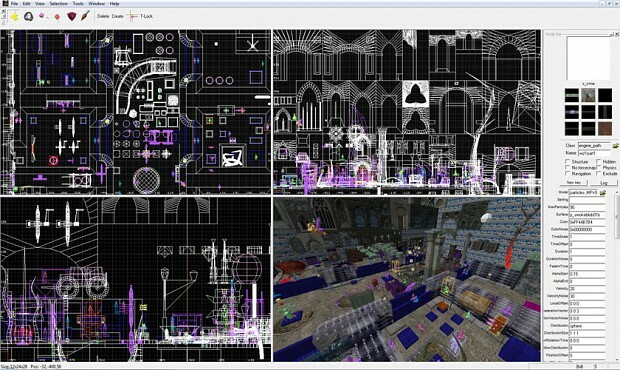 The original tools and documentation that Starbreeze had released can be found at the below ModDB link, as well as the more recent documentation and example level which demonstrates an in depth series of effects and geometry samples from the base game. The Sound Browser Fix can be found here as well, which enables the Sound Browser and in-editor sound for Ogier. If you have any questions about the tools, or wish to share your own discoveries, feel free to post on this forum. Until then, happy modding! I've just released a set of recompiled Enclave audio files which enable Ogier's Sound Browser and in-editor sound to be used. This fix is available for download from the main link in the top post. It seems that Enclave's .xwc files are of an older format which the release versions of Ogier are unable to support. I was able to deconstruct these files, and recompile them using a newer format which reads correctly. "This fix makes it possible to use Ogier's Sound Browser and in-editor sound features. Included are recompiled versions of Enclave's .XWC files which can be read by any of the released versions of Ogier. Also in this archive are the .mmp (source) files for each, which contain the sound information before being compiled."